Landing pages highlighting featured deals, sales and specials are not always easy to set up for Black Friday and Cyber Monday specials, because brands sometimes don't know the specials far in advance -- but brands are running out of time. Google needs hours to days to index pages serving up in search engine query results. 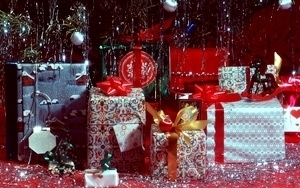 Product availability and keeping links updated proves crucial, especially during the holidays. Two Tap on Friday released an API for mobile apps that allows consumers to check product availability, pricing, style, color, and size at one location for hundreds of retailers. The technology pulls in specific product selection data to identify in-stock products without needing to visit a retailer's site. Prior to the Two Tap Product Availability API, consumers had to click through to see if their product selection was available, or would save or share dead links or cached versions of products not in stock. Two Tap cites one study from Curalate that found nearly 50% of top retailers’ most popular products on Pinterest link back to expired pages. One problem is busy schedules, as retailers struggle to keep links updated as inventory changes when popular products sell out. "Users want an unbiased look at what sales and offers are available to them, often hyper-targeted whether they are in-store or browsing on the couch at home," said John Boyd, ShopSavvy CEO. "We believe aggregating this information in a neutral fashion is what serves the consumers, and ultimately the brands and retailers." Some 68% of U.S. consumers plan to buy consumer electronics during the 2014 holiday season, per IHS. Those consumers plan to spend an average of $769. Amazon leads other retailers when it comes to planned holiday CE purchases this year, with 76% of survey respondents indicating they will purchase from the online retailer, followed by Walmart at 73%; Best Buy with 66%, and Target at 63%. The data is based on a survey with 800 respondents conducted the week prior to Thanksgiving 2014. Don't make consumers work too hard to find the best deals. ShopSavvy on Friday released a list of Black Friday data revealing sales information from 500,000 retailers planning on having the deepest discounts. The company analyzed data from 100 retailers to determine which stores are expecting to have meaningful Black Friday sales and the ones that seem like hype. Consumers searching for electronics will find the most discounted products at Walmart, with 4,014 total electronic products on sale. For the average discounts offered in electronics, Walmart has a 44.5% average discount, followed by Newegg at 42.7% average discount, and Best Buy at 38.2%. Data for the retailer with most discounted home products points to Crate & Barrel with 1,855 total home products on sale. While a little out of character, Nordstrom also falls under the home category with a 76.2% average discount, followed by Urban Outfitters at 42.2% average discount and Overstock at 35.4%. ASOS came in as the retailer with the most discounted clothing -- with about 27,276 total items on sale -- but the Men's Warehouse took top honors for the highest average discount at 52.5%. Victoria’s Secret follows with 49.8% average discount, and H&M has 48.2%.